As I prepared a booklet of some of my paintings I took a trip down memory lane. Here are two paintings that I did some time ago – both scenes from the home we used to own and love. 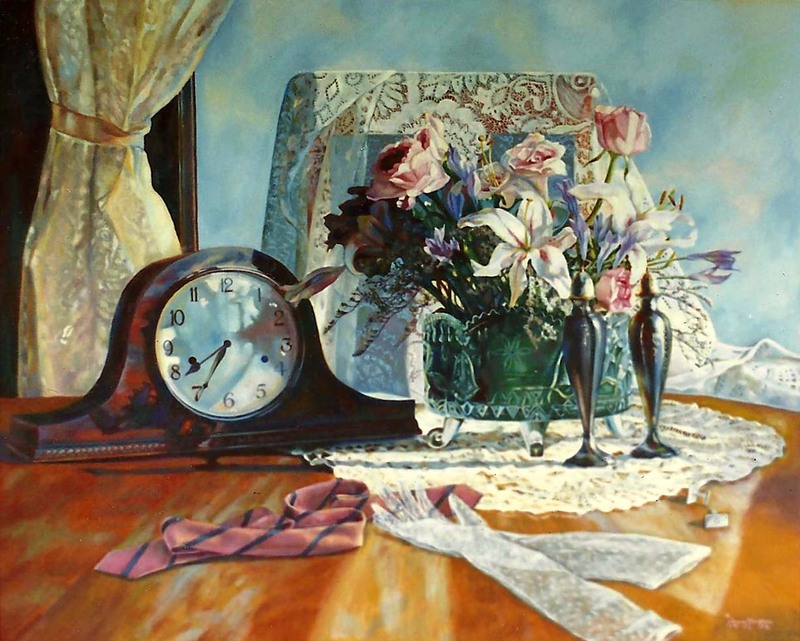 The still life showed elements from the wedding of our youngest son and daughter-in-law. 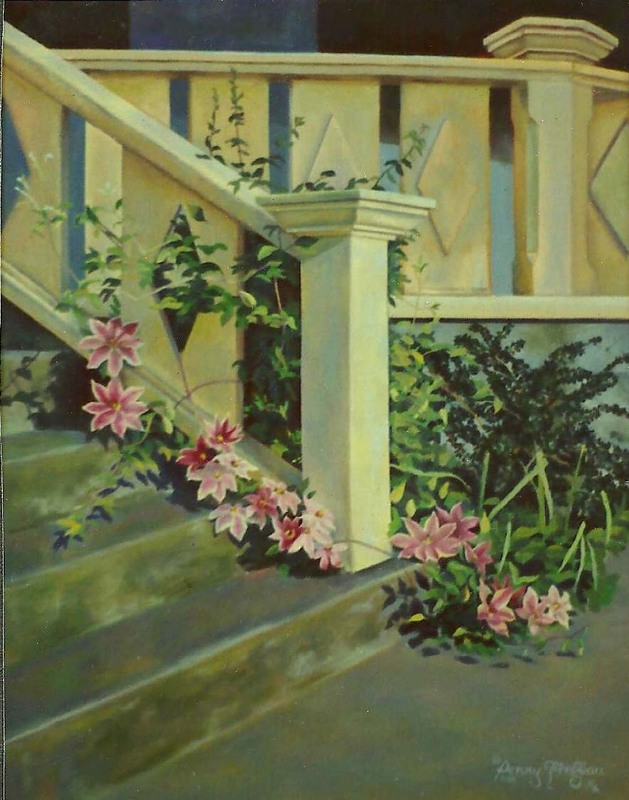 The back porch scene – a place we used to enjoy on sunny days. I enjoyed the interplay of light and color on both canvases. These paintings remind me of gentler times in my life and evoke good feelings. Art often ties us to a memory. There is something especially Biblical about remembering on purpose. We, as human beings, tend to be quick to forget all the blessings in our lives and are prone to focus on the trials. It’s good to make a memory that causes us to turn our hearts to the Lord with thankfulness. It brings back forgotten smiles and renewed hope. ← I Am Still Learning!